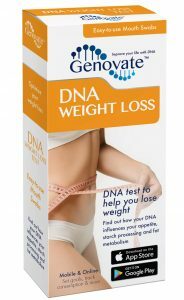 Home Lifestyle Weight Loss Did you know DNA affects your exercise motivation? Did you know DNA affects your exercise motivation? Exercise begets exercise. This means that Susie, a seasoned runner, is more likely to continue running than Mike, who has never set foot in the gym. It’s a proven fact that people who exercise are more likely to keep it up, because really, the hardest part about exercising is getting started. Motivation is the biggest hurdle to taking up running or going to the gym, whether it is the need for a partner in crime, or the strength of will to subject ourselves to a gruelling routine. Without proper motivation, we procrastinate and find excuses to avoid exercise. But for some of us, going for a bike ride or a run almost feels like second nature. This may be because we have inherited an advantage in the form of a BDNF genetic variant, which enhances our motivation to exercise. The BDNF gene encodes a protein called the brain-derived neurotrophic factor. This protein controls the function of nerve cells or neurons. Most of the neurons in our brain are made even before we are born. However, some parts of the adult brain can still grow new neurons through a process called neurogenesis. BDNF not only promotes neurogenesis, but it also supports the survival of old neurons. Neuron growth and survival is absolutely necessary for cognitive functions like learning, thinking and memory. These are the same functions affected by schizophrenia, depression, Alzheimer’s and Parkinson’s, all of which are linked to low BDNF levels. Now, if you are wondering what learning and Alzheimer’s disease has to do with exercise, the link is BDNF. Interestingly, certain types of exercise can enhance both neurogenesis and cognitive functions. BDNF levels play a major role in this exercise-induced neurogenesis. Exercise boosts your BDNF levels and can beef up your brain. This is a blessing to those of us who carry a version of the BDNF gene known as rs6265. People with the rs6265 version actually respond more positively to exercise and don’t find exercise as tiring. These people are internally driven to exercise more frequently. Furthermore, they are also more likely to continue exercising, even when offered with the choice to stop. So, basically our brains have adapted to compensate for this inherited BDNF reduction by motivating us to be physically active. Hence, boosting BDNF production through exercise. Are you a low BDNF producer? The relationship between BDNF and exercise however, is a bit like a self-fulfilling prophecy. If you can just start exercising, you are actually genetically programmed to love it and to stay active. 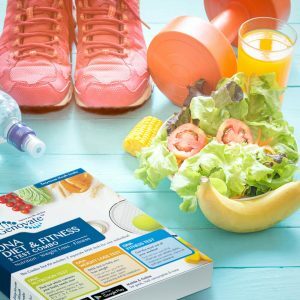 Boosting BDNF levels through exercise can have tremendous positive effects on both your physical and mental wellbeing. 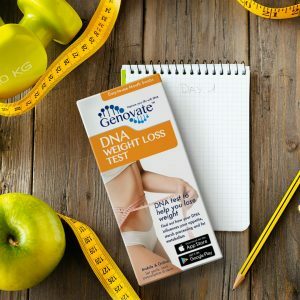 The BDNF variant is included in the DNA Weight Loss Test. Now the question is, whether knowing that you are a low BDNF producer would be enough to get you off the couch. Previous articleDid you know your genetics might put you at risk of dry skin? Next articleDid you know DNA affects your risk of psoriasis?